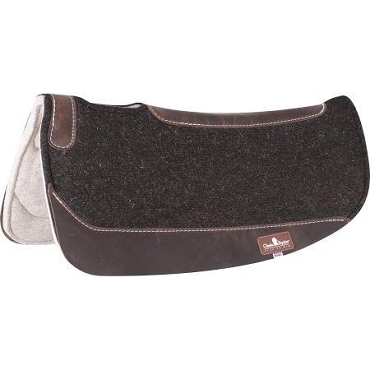 ESP Saddle Pads by Classic Equine - FREE SHIPPING NOW! 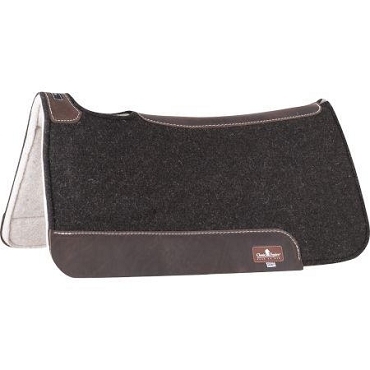 XPF in the ESP Contour Saddle Pads is the most advanced pad technology. The revolutionary auxetic foam is open cell, breathable and lightweight, and it provides the highest level of protection with its self adjusting profile. 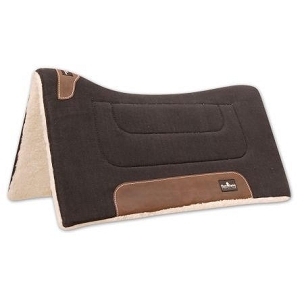 The Classic Equine ESP Saddle Pads are constructed with a middle layer of 1/2" memory foam, which is extremely conforming and temperature sensitive. It continuously molds and conforms to the shape of the back then rebounds to its original shape when pressure is removed. This minimizes pressure points and relieves body stress. 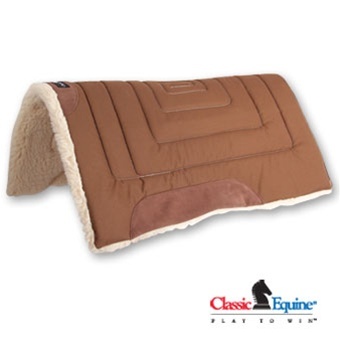 It is open cell, allowing airflow through the cells and pulling sweat away from the horse. For more info on these great pads see at the bottom of the page. 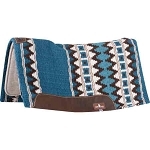 The ESP Contoured Saddle Pads are constructed a little different this year. They have a wool blanket top that can be folded back for shim placement. They also have a 1/2" advanced polymer center that evens pressure and protects against shock. All ESP Saddle Pads are a breeze to clean. Just hose them off and use a soft brush if needed to get any dirt/hair/grim off them and let them dry. Piece of cake. Even the beginner horseman/horsewoman can clean them. 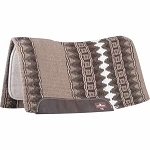 Another great feature of these ESP saddle pads is that Classic Equine only produces each color combination for a couple of years. So, there are always new color combinations coming out often for the ESP Wool Top Saddle Pads and the ESP Contoured Saddle Pads. As always, if you need to have splint boots and you have the desire to have color coordinated pads and splint boots then check out the matching Classic Equine Legacy System Splint Boots and the Classic Equine Pro Tech Splint Boots along with the matching bell boots.